Site’s? Sights? Whatev’s. I’ll be showing you a few cute and cool Halloween sights on a few site’s in this post. I’m right into the spirit this year. 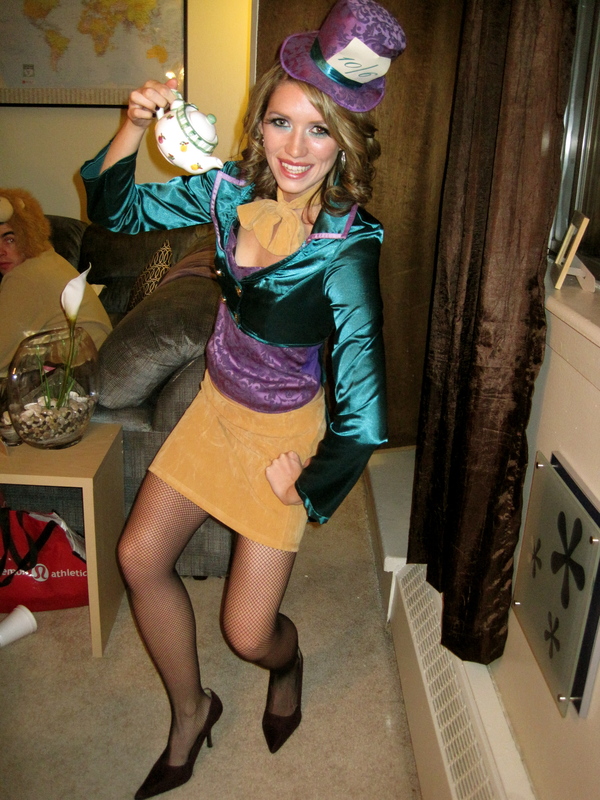 I’d say my best costume to date was my Mad Hatter costume. Hello there! What are you being this year?? Photo taken from Crate and Barrel. OR! I could bake some of the below tasty, super-creative, treats for the hippos! 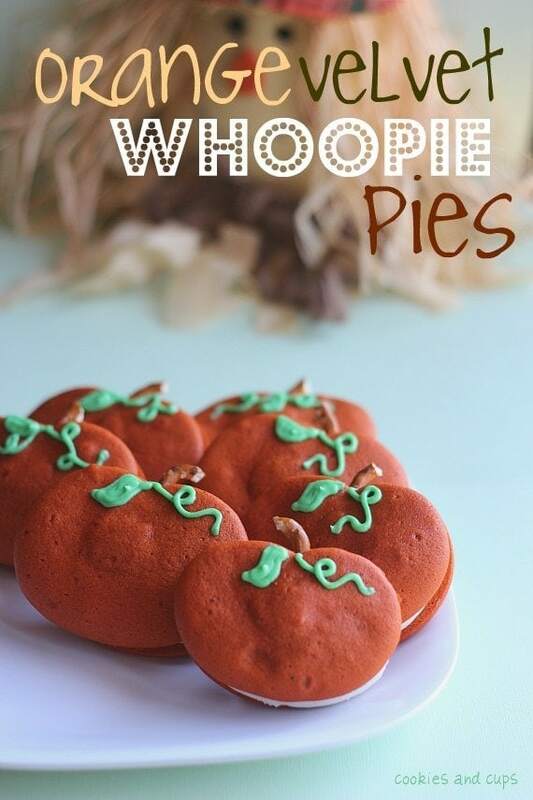 Like these pumpkin whoopie pies. Image taken from Cookies and Cups. Photo taken from Sweet Adventures of Sugarbelle. Photo taken from Our Best Bites. 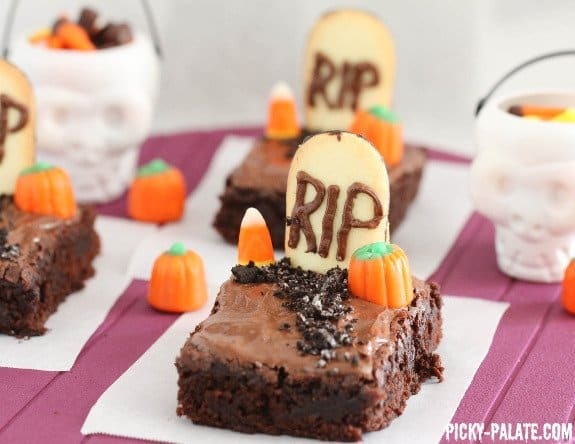 Or how about these freaking awesome Graveyard Brownies?? Whatever happens in the kitchen between now and that magical day that is October 31st, I will be ready to go with treats to last until Christmas. Thank you food bloggers! 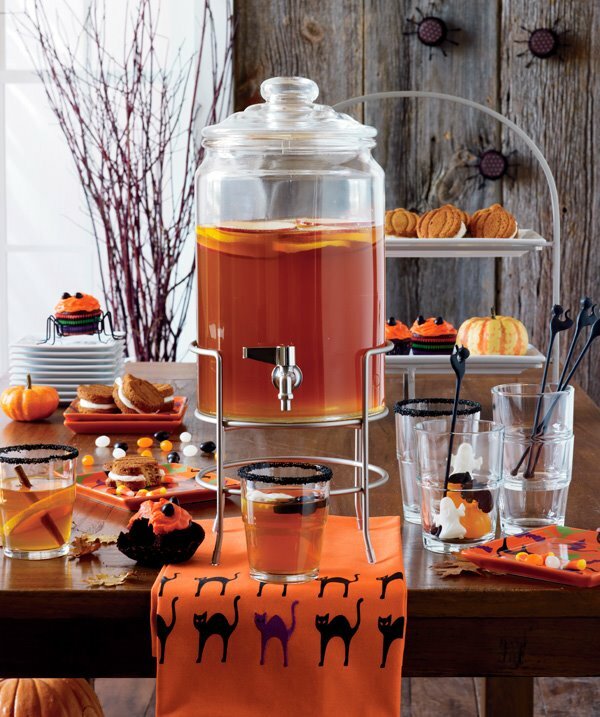 For being awesome, and sharing your strange and wonderful Halloween treats! I love Halloween, too. What a fun roundup!! I just wanted to say that last night I made the Chunky Chocolate Banana Bread you posted a while back. Sooo yummy. I loved it. I’ll definitely be making that again!! 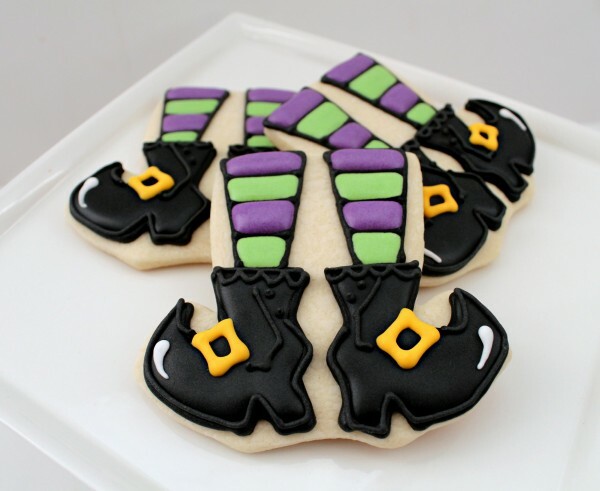 love the roundup of treats….and that pic of you. Woo-hoo! Lookin’ amazing, girlie! Aw, shucks. You’re the nicest. I think I’m going to do Red Riding Hood this year, but just to give out candy. I don’t think I’ll be getting up to too much either! Great costume! 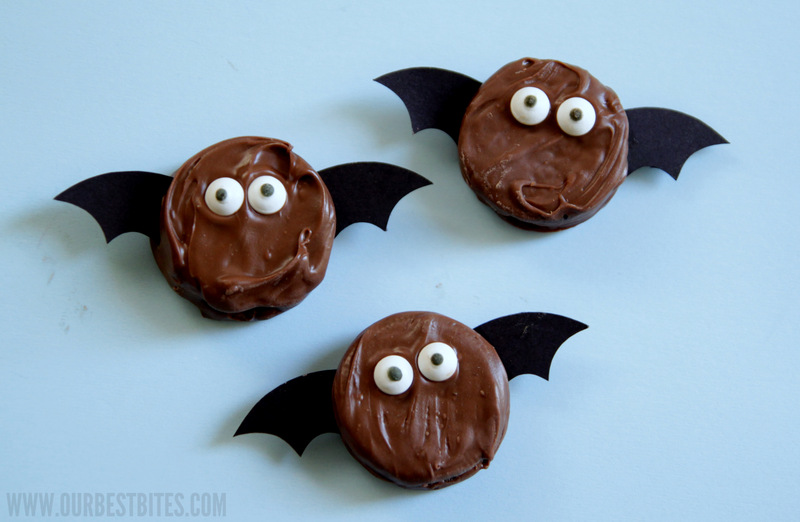 Great round up of Halloween Treats! What a great costume!! I never dress up but we always have lots of kids stop by for candy. LUCKY! I live in an apartment, so I hardly get to see any kiddies!! How cute are you; love your costume!! 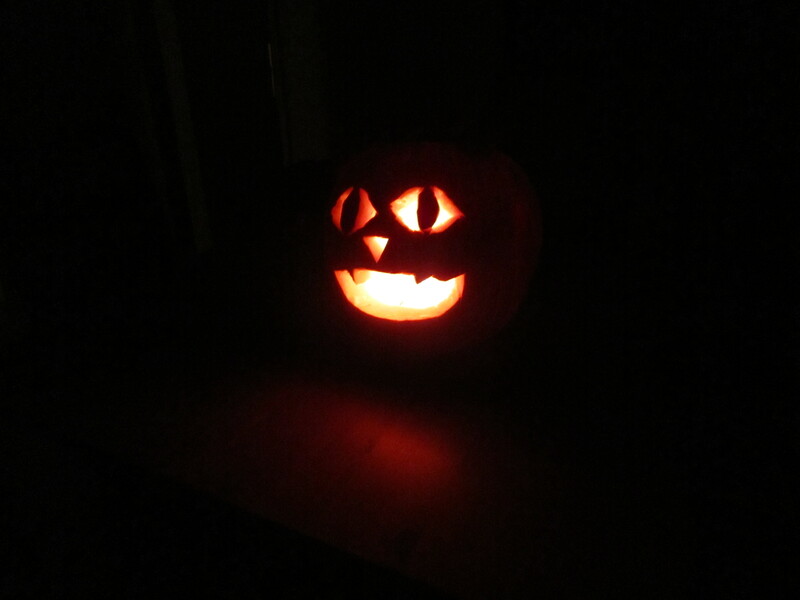 Great Halloween roundup, too! Orange velvet whoopie pies? LOVE. Could you be any more ADORABLE!! Love the costume & the Halloween spirit! I love that costume…and I love Halloween too!